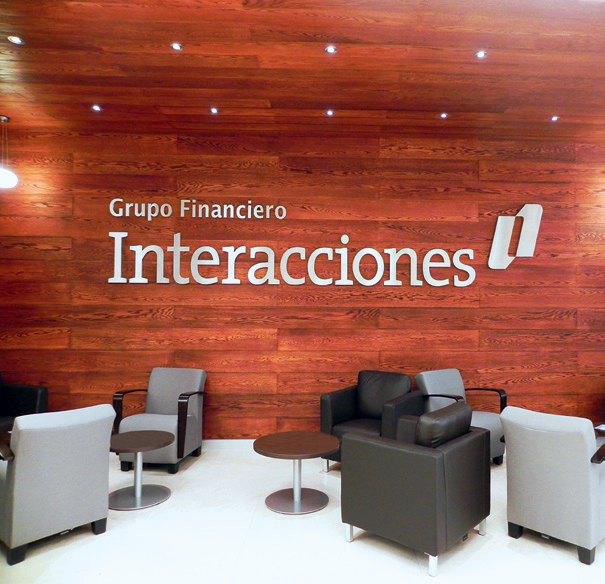 The Mexican bank Banco Interacciones was founded in 1993 and operates as a subsidiary of Grupo Financiero Interacciones SA de CV. Its headquarters are located in Mexico City. Its CEO, Carlos Hank González, is a recognised industry leader. Catering to individuals and businesses alike, the bank specialises in credits to government entities and infrastructure, but it also offers products and services such as personal bank accounts, commercial loans, investment assessment, currency exchange and financial support and credit to clients operating within the agricultural and farming sectors. Taking corporate responsibility seriously, the bank supports schemes such as Bécalos – an educational scholarship programme founded in 2006.